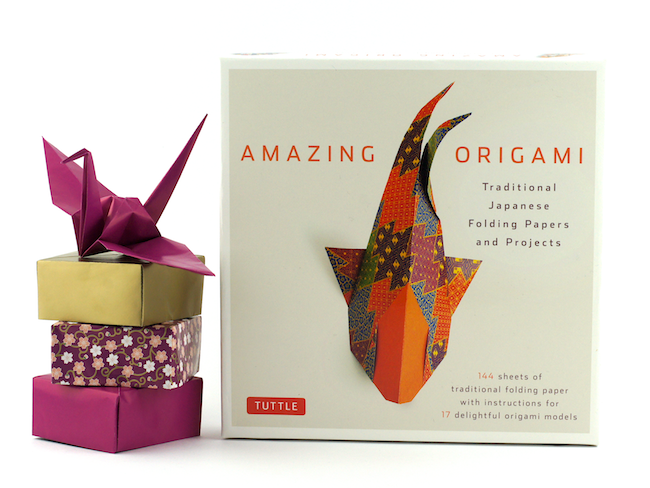 So, when Tuttle Publishing, who produce really lovely origami kits, offered to send over a few books and kits to try, I couldn't resist saying yes. This one - Amazing Origami - really caught my eye. Blame it on that dynamic koi on the cover. I'm a big sucker for a good looking koi! Of course, I did a little folding, but we'll get to that in a minute. First let's check out the kit. 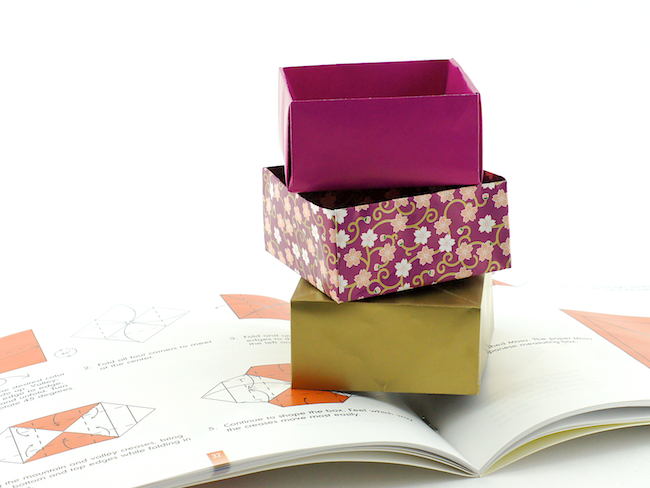 Inside the box, is a 64-page booklet featuring 17 origami models plus folding basics. 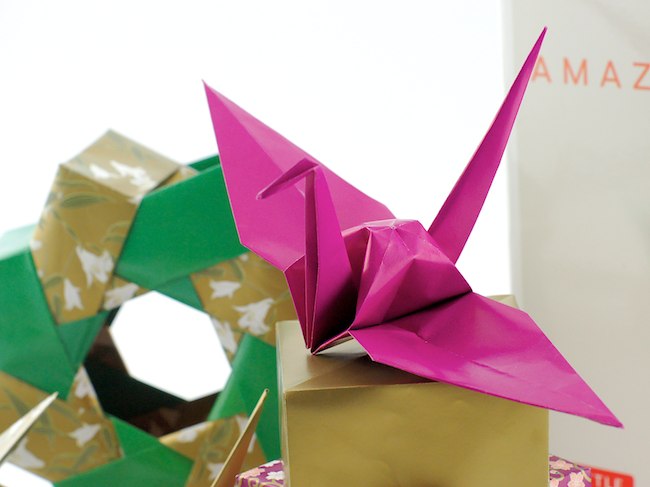 The models include new designs, like the koi, as well as traditional models like the classic paper crane. 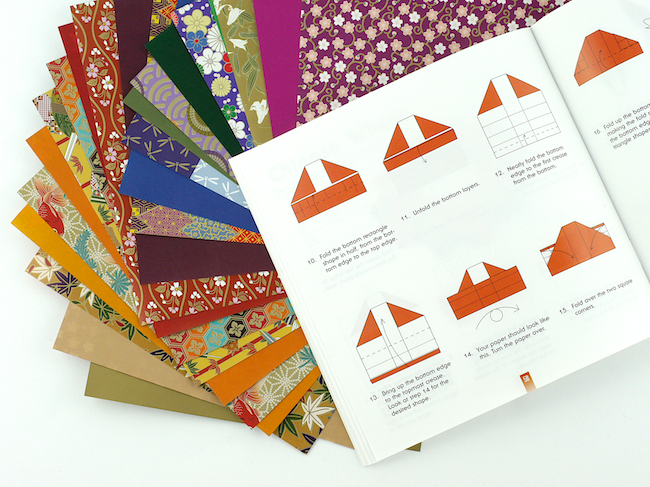 Each model includes clear step-by-step illustrated instructions plus there is a reference key of origami symbols and techniques in the front of the booklet. 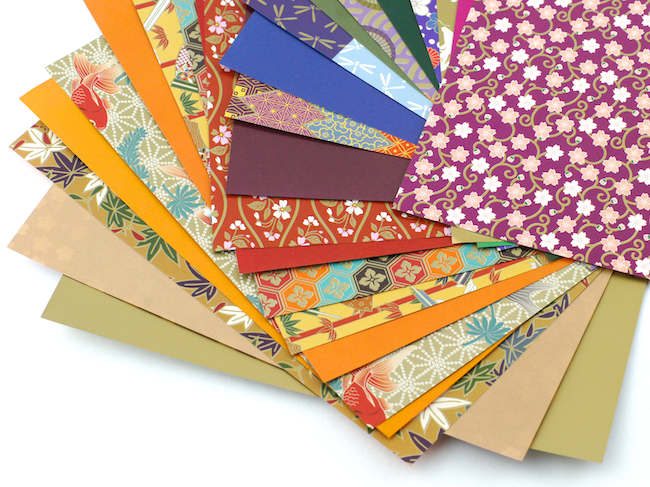 Also included in the kit are 144 sheets of double-sided origami paper. 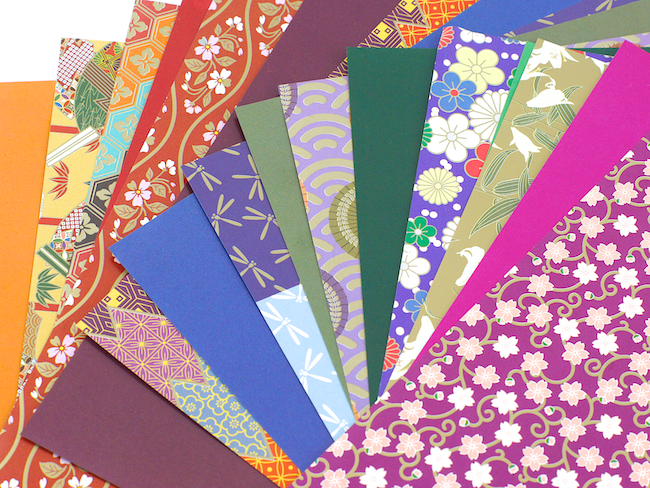 Lots of pretty traditional designs and rich colours on crisp, easy to fold paper. The one downside to all the super-saturated colour is dye transfer. I did find that my fingers were gold & purple & green by the end of my folding adventure. But it did wash off without much fuss! I tried three of the models in the book. The first, the paper crane. This is a model I can make from memory, but the instructions in the book were slightly different than my usual technique so I gave it a try. Both versions end up looking the same... only time will tell which one I stick with! Then, I made the Chinese Wheel - a design by Michael G LaFosse. This was the model that caught my eye on my first look through the book - it seemed seasonably appropriate. I had visions of folding a bunch of them and hanging them on our Christmas tree like little wreaths - but I seriously underestimated the size! But I love the final model anyway - it'll just be a freestanding wreath. Maybe I'll cut the paper into quarters and make a smaller version next time. 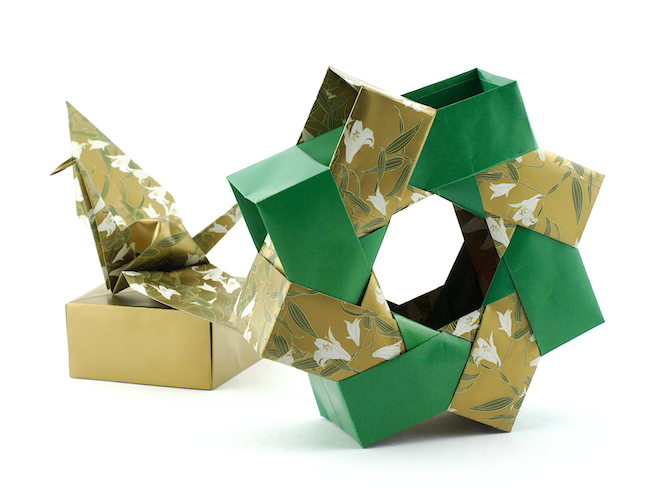 Finally, I folded the masu box - another traditional Japanese design. The shaping of the sides of the box is a little tricky, but the instructions instruct you to "feel which way the creases move most easily" and that was actually really helpful. A bit of intuitive paper folding! Overall, I think this kit would make a really nice gift. It looks impressive (I tell you, it's that koi! 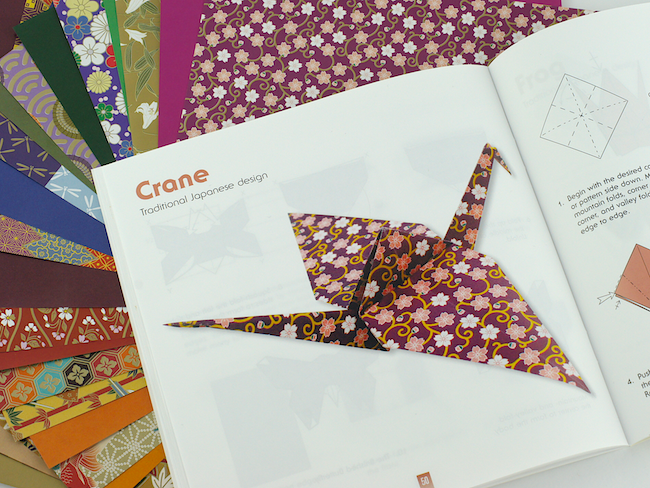 ), the papers are lovely and can be used to create the models within the booklet or for other origami designs. In terms of difficulty, some of the models are definitely easier than others - I'd say someone with a moderate amount of folding experience should enjoy the projects - a beginner might find it too challenging, an advanced folder too simple. 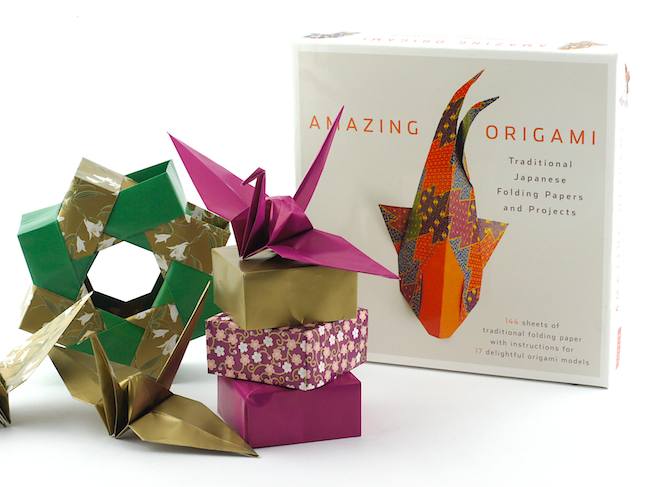 You can find Amazing Origami online or ask for it in your favourite bookshop. How about you? 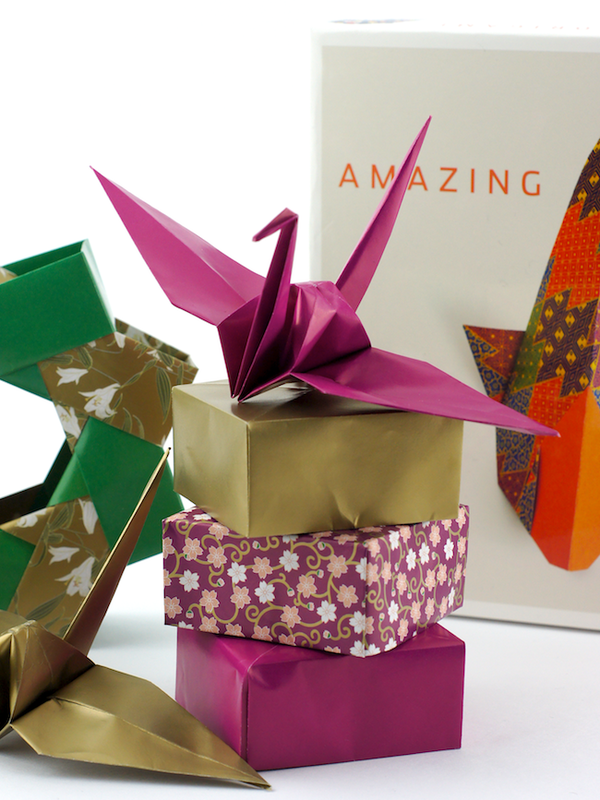 Are you an origami lover? My daughter has recently gotten into Origami - her friend and her have a goal of folding 1000 paper cranes ;) This book might be something that she enjoys one day in the somewhat near future! Thanks for the fantastic review. 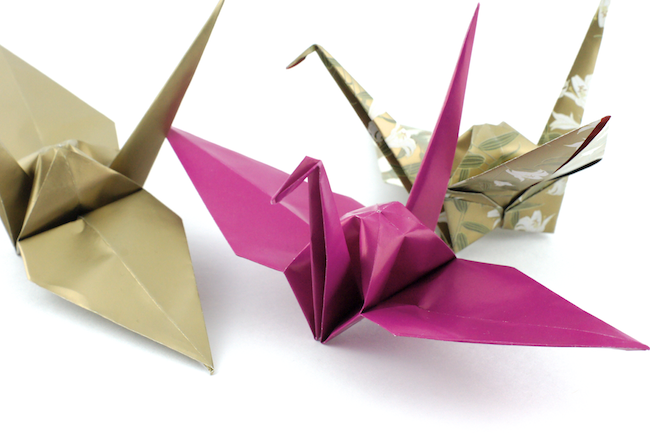 That's a great goal - have they read Sadako and the 1000 Paper Cranes? I'd actually love to do this myself one day! I'm impressed with your origami skill! The figures look great and those papers are so pretty. Thanks so much Ann! Good paper definitely helps!